Yahoo Sports is currently one of the top destinations for online sports news with more than 50 million monthly visitors and now the company has partnered with Gow Broadcasting LLC to take their popular internet content to the airwaves. The company’s are working together on the newly formed “national sports radio network” which can be heard on more than 180 affiliate radio stations across the country, along with Sirius Satellite Radio and various mobile and digital partners. As part of the partnership Gow and Yahoo will share content and work together to develop new feature pieces and other stories that will provide news, information and sports commentary. Yahoo! Sports Radio’s popular shows, such as the Steve Czaban show and the Tim Brando show, will feature experts from Yahoo! Sports. Dan Wetzel, Mike Silver, Adrian Wojnarowski, Charles Robinson and others will be regular participants on Yahoo! Sports Radio. Yahoo! Sports investigative stories and breaking news will be delivered simultaneously on both platforms. Yahoo! Sports Radio’s audio content will be featured on Yahoo Sports!, including Peter Gammon’s daily feature, and top interviews fromYahoo! Sports Radio’s shows. Yahoo! Sports Radio will also add shows such as Fantasy Freaks with experts Brandon Funston, Brad Evans and Andy Behrens andRivals Radio with host Chris Childers, where fans can listen to college football and basketball programming with Rivals.com experts. Among the Yahoo Sports Radio channels top affiliates are WFAN (New York), WSCR (Chicago), KBWF (San Francisco) and KTCK (Dallas). Yahoo Sports! 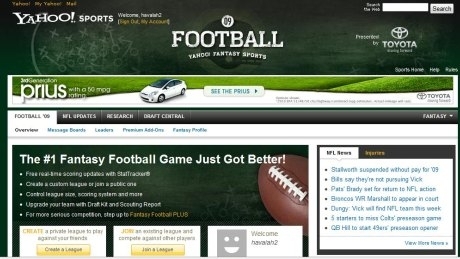 fans can find more local station listings by visiting http://www.yahoosportsradio.com.